One of the many reasons I love living in New York City is the wealth of random, interesting things that just show up overnight in unexpected places. 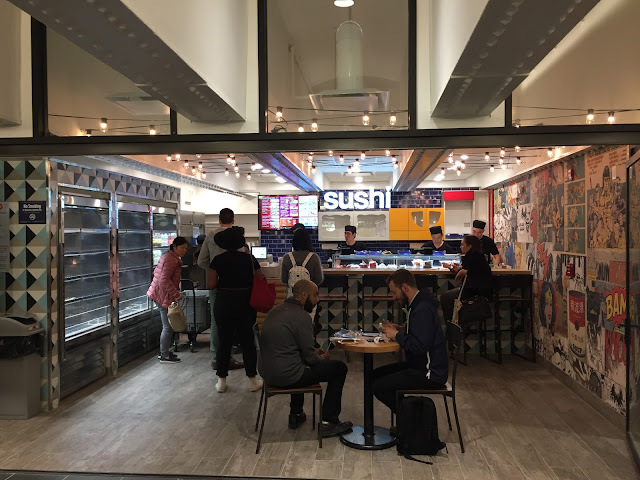 Enter TurnStyle: an underground shopping and dining destination that just opened inside the Columbus Circle subway station. Head down from any corner of 57th/58th Street and Broadway to find high-quality restaurants and cutting-edge accessories in an unexpected environment. I wandered around for about 30 minutes and saw some fun stuff and spoke to interesting people who were surprised to find Turnstyle on their normally mundane commute. Sitting outside drinking a Shake Shack caramel milkshake. The sun is shining but it's not too hot to enjoy it and an old black guy just rode by on a bike with a boombox blasting "La Vie en Rose." Now that The Biscuit is older and needs less of my attention, I have time to read non-kid books again. Before she was born, I used to love to read collections of short stories. 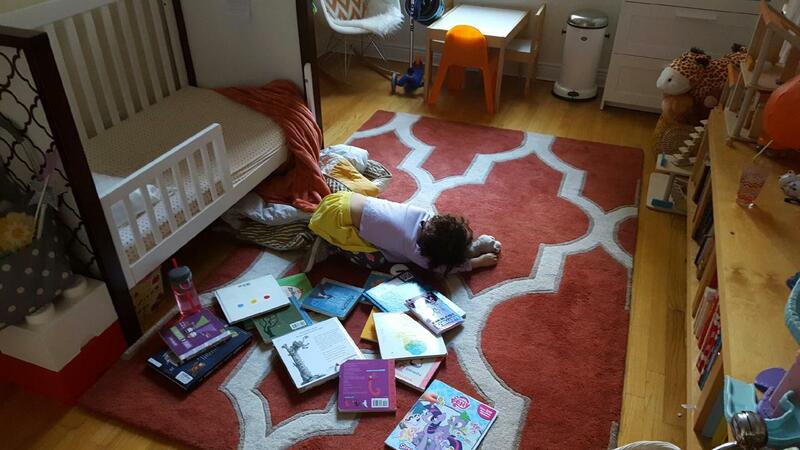 While I was pregnant, I devoured every parenting book mentioned in the New York Times. In the last four years, I've read just four books: Between the World and Me, Flash Fiction: 72 Very Short Stories and both of Jenny Lawson's hilarious masterpieces. One book a year seems kind of sad, right? 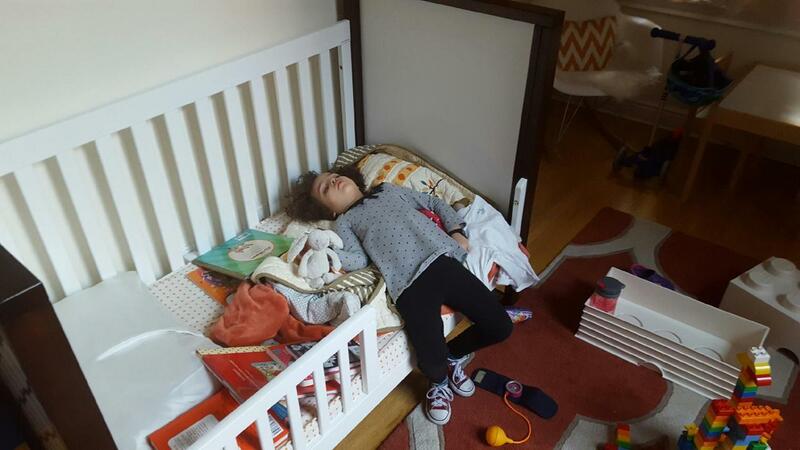 Completely passed out in the middle of the day after a long morning of yelling, throwing tantrums and generally being terrible to her parents. 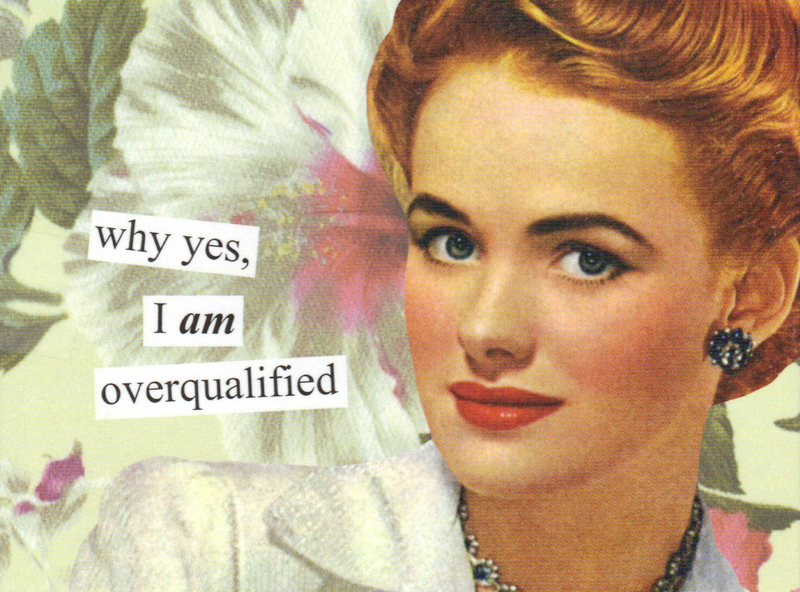 "Too much experience" is a bad thing. I don't know when this happened but I'm going to blame millennials those damn kids everyone's always talking about. In my opinion, it also means they can't pay me what they know I'm worth or they're worried I'll get bored and leave. "Seasoned professional" is a euphemism for being judged as too old. The tech industry in particular make no attempt to cover up this obvious bias. Other discriminatory qualifiers include "too urban" and "family oriented," also known as too black and has a child who might require time away from work. It doesn't matter how successful I've been, what's on my CV, where I've worked, what I've produced or where I went to school. All that matters is what I'm going to do next. And if I'm going to be judged based on my age, ethnicity, family status or how many years I've been working, I want to be able to prove companies wrong by blowing them away with raw talent. Trust me: you don't want to miss out on what I bring to the table. More things I've learned here.